ABUJA – Former National Assembly members under the aegis of Coalition of South South Emeritus Lawmakers have called on the former General Officer Commanding, GOC, of the Movement for the Emancipation of the Niger Delta, MEND, Government Ekpemupolo, alias Tompolo, to surrender to security agencies. 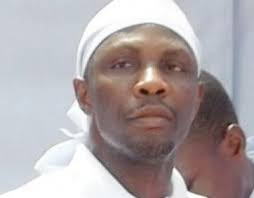 The came against the background of a repeated warning by the presidency to the leaders of the ijaw community to handover Tompolo and other suspects in the recent bombing of major oil and gas installations in communities in Gbaramatu Kingdom, Warri South-West Local Government Area, Delta State. The bombing was believed to have been carried out by Niger Delta ex-militants in the state. But the ill development seemed to have pitched the community against the federal government as ijaw leaders told the presidency that it was not in their place to arrest Tompolo. He continued in a chat with Vanguard that “It is unfortunate that the Presidency wants to handle the matter from this angle. Which of the Northern elders did they tell to produce the Boko Haram leaders that are bombing in their areas. So, why are they telling us to handover people who bombed pipelines here? “If they know the person that did it and ask us to help produce the person and we see him, we can assist with information if we have any. How can anybody say Ijaw leaders should handover suspects? We do not know who did it. “It is not right. Even if they tell us the person, we do not have arms to arrest anybody. What they are doing is to make us not to have confidence in this government. What power do we have over armed militants? We can only talk to them as elders, not arrest them with guns. In a press conference in Abuja yesterday, the group expressly condemned the resumed act of violence in the Niger Delta, and called on the suspects especially Tomopolo fingered in the act to submit himself and prove his innocence. Having the membership of former members of the House of Representatives across the south south states, which included Rt. Hon. Halims Agoda (Delta State), Hon. Mercy Alhona( Delta), Hon. Samson Osagie (Edo), Abubakar Momoh (Edo), Hon. Mike Ekpegule (Bayelsa), Hon. Patty Etete Ineme (Akwa Ibom), Hon. Christopher Enai( Bayelsa), Hon. Ehiogie West Idahosa( Edo), Hon. Alex Ukam( Cross River), Hon. Promise Abibo (Rivers), and Hon. Ikperikpe Ekpo (Akwa Ibom), the coalition stated that the Amnesty Programme Office was an open channel created by the government for the people to ventilate their grievances should there be any, rather then fomenting trouble in the region. Reading the position of the group, Agoda said that the ex-lawmakers were saddened by the recent happenings in the region. “While condemning in very strong terms the renewed vandalization of oil and gas facilities in the zone, we use this medium to call on any persons severally or individually or group involved in these acts to desist forthwith. It is our belief that the only productive means to actualizing or redressing perceived injustice, inequality or unfair deals, is through dialogue. It has worked before and it remains the only way sure to consensus building,mother sine qua non for the much needed development of the region. He recalled that the region had benefited from the amnesty Programme of former governments, saying that even present Mohammadu Buhari has promised to continue with the Programme. This was even as he called on the federal government to expedite the completion of the east-west road. “We recall with nostalgia and satisfaction the intervention by president Umaru Musa Yar’Adua’s administration which engendered peace an development to the then troubled Niger Delta region due to the activities of militant agitators. The circumstances that led to the institution of the Amnesty Programme by late President Yar’Adua were actuated by the decades of alienation of the region. “Quite rightly, that administration diagnosed the problems of the zone and administered the amnesty dialysis. Significantly, progress in mitigating the restiveness of the people was remarkably achieved. “While some good results could be posted in the human capital development component of the Programme, the same cannot however be said of rye infrastructural development as sign-posted by the all important East-West road that traverses all the states of the South-South zone. The dismal record of the work on that road remains an albatross because of the ineffectiveness of those who had hitherto administered the project”, he said. Fielding questions from Journalists, members of the coalition called on Tompolo to stand up and prove his innocence in the allegations. “Already the Federal Government has instituted an agency as a window of opportunity for all aggrieved people from that region to come and ventilate their grievances in any way and that is the office of the amnesty programme. And already that particular office has been engaging the people from this region. Some have benefited from one form of training or the other. “And if anything has arisen that will create this type of confusion or anger within the people, we expect that we should use that platform to get back whatever they feel they are denied of. “Against that background, we are calling on our own son, our brother, who is being called by the government to come and answer any question. He should come out as a gentleman and as a true son of the Niger Delta region. “He should come out and give his own part of the story. We all know that nobody is presumed guilty until you are proven so. So I think rather than pull down the trees in the whole region because of one person, we believe that he should be man enough, he should be a patriot that he is, he should be nationalistic and come out to answer to whatever he is being accused of. “For those who are going to destroy our national assets, we believe that they shouldn’t allow anybody to misguide them, mislead them and they should all channel their grievances to the amnesty office”, they said. Also throwing their weigh behind the anti-corruption war of president Buhari, the coalition stated that they stood for change agenda of the present federal government. “Our mission is to promote and defend the interest of the south south zone of the country on the basis of our avowed fervour for the sustainable development of the region and indeed the country at large as well as our conviction that our people need to embrace the imperative of the change agenda of the federal government.